Time is precious. If you are a busy person you know how valuable time is. Though you have a busy lifestyle you may find a mere 5 minute spare time at your home to take a breath. Don’t you? Then here is a list of 27 sewing projects to try in your spare time. I am sure that will ease up your mind a little bit. 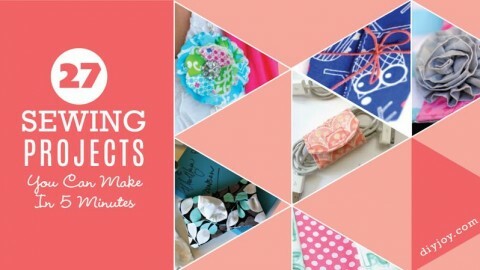 HERE is the list of 27 sewing projects you can make in 5 minutes.